DOCa RIOJA enhances the visibility of smaller geographical units, giving the final push to an initiative started in 1998. “The flagship of Spanish quality wines culminates a strategy that aims operators, opinion leaders and final consumers who demand more information. The debate has been long and challenging, but the importance of the project required it”, stated President of DOCa RIOJA, Fernando Salamero. The Control Board Plenary today approved an update of regulations on indications of zone (a change of name for sub-regions that best expresses the philosophy of what Rioja wishes to transmit) and municipality or town, with the aim of giving them greater visibility. This also meets the concerns of operators, opinion leaders and final consumers, who want to see on labels more information about the great diversity of wines offered by the DOCa Rioja. These indications will complement the traditional and successful range of wines made with blends from different sources. After regulating a traceability procedure in 1998 that allowed the names of either municipalities or sub-region (Rioja Alta, Rioja Alavesa, Rioja Baja) to appear on labels, the Control Board has taken a further step by contemplating situations in which winemakers grow vines in bordering locations, from which up to 15% of the total grape volume will be allowed. The requirement will be a long-standing link to the vineyard, which will have to be a permanent project in order to prevent speculation. This margin of tolerance is part of the possibilities offered by EU regulations. Another new feature is the larger sizes allowed on the bottle for the names of towns or zones. Up to now, the size of these indications was limited to a maximum of two-thirds of the Rioja indication. From now on, they can be represented on equal terms, the only requirement being that they cannot stand out more than the name of the wine region. Finally, those making Vinos de Pueblo will have to employ and distingish brand names for those wines. In order to guide a proper implementation of these changes, there is a commitment to promoting these indications. The committee to deal with these issues will be chaired by Ramón Emilio Muro Aguirrebeña, representative of the Alava Cooperatives. 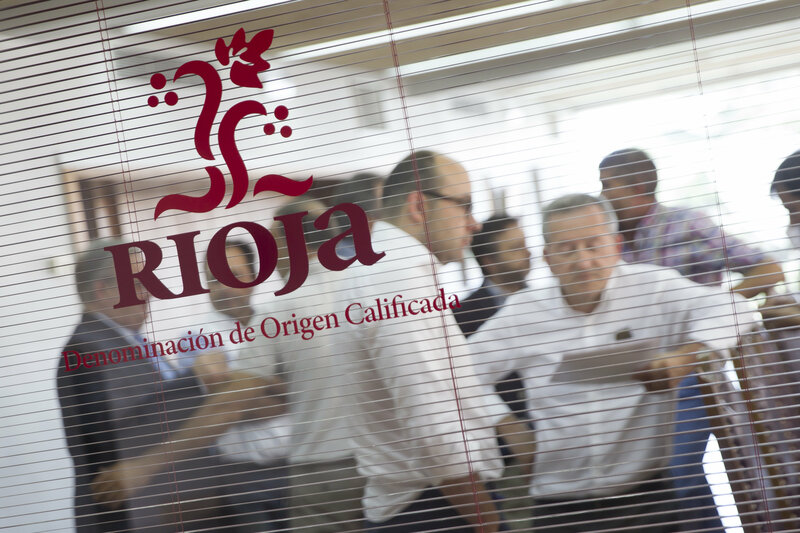 Rioja continues to enrich its range of categories within the continuous improvement process in which it is immersed with the aim of reinforcing its position as quality wine benchmark in the world market. The new organisation of wines sets specific requirements to guarantee the quality of the wines and the veracity of the indications on labels. It has been suggested that subzone Rioja Baja could be renamed Rioja Oriental, which will explore in the coming months its legal and commercial viability. The first milestone of this new dynamic era was the review of the definitions the traditional Reserva and Gran Reserva categories, setting minimum bottle ageing periods for the Reserva category, to come into effect on 1 January 2019. They also include flexibility with regard to one of the bottle ageing years in the Gran Reserva category. White varietals are also to be allowed with any of the permitted grape varieties. This was followed by the the approval of the new indication for Viñedos Singulares wines coming from a single vineyard of exceptional quality and the production of Quality Sparkling Wines, and is now completed with Village and Zone Wines. At the same meeting, ABRA indicated its intention to withdraw its application to register the PDO Viñedos de Álava. The new airs inspiring the wine region, its goodwill, prestige and market recognition are undoubtedly a sign of the best future commitment that can be undertaken by an operator.